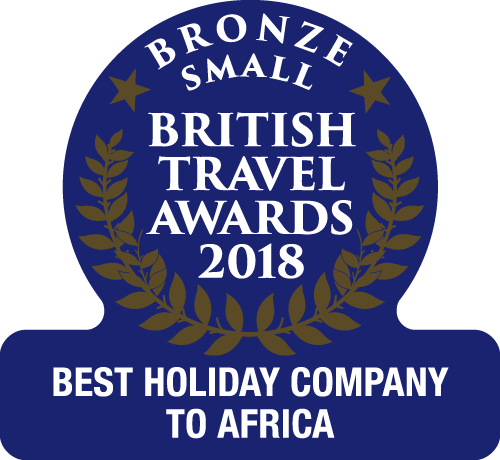 We are the UK’s destination specialist to The Gambia, having operated in the country for over 30 years. We have our own year-round charter flights and have a dedicated, knowledgeable resort team on the ground who provide our customers with excellent support. This popular and lively hotel is well-established and has great facilities, including a swimming pool, three bars, two excellent restaurants plus a snack bar, a massage and beauty salon, day time activities and evening entertainment. 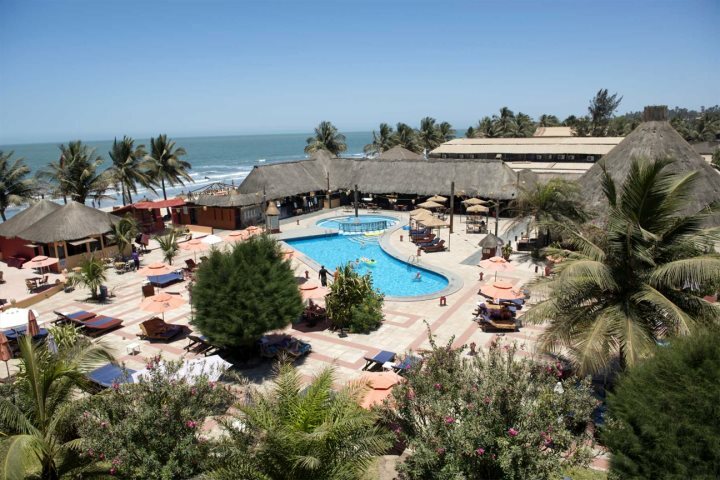 Best of all for many though, the hotel opens onto Kotu Beach, a long stretch of sandy beach which is one of the most popular in The Gambia, but is never overcrowded. A craft market, beach bars and a small selection of restaurants are all just a short stroll away. For birdwatchers, two popular birding sites, Kotu stream and Kotu bridge, are within walking distance. 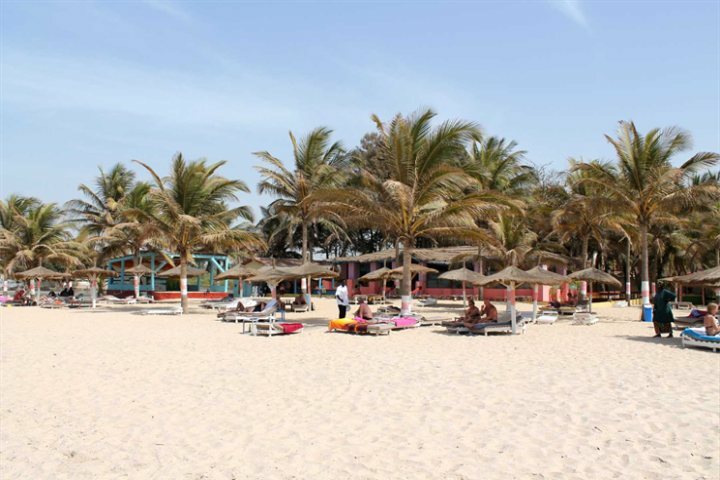 Follow this link to find out more about Kombo Beach. 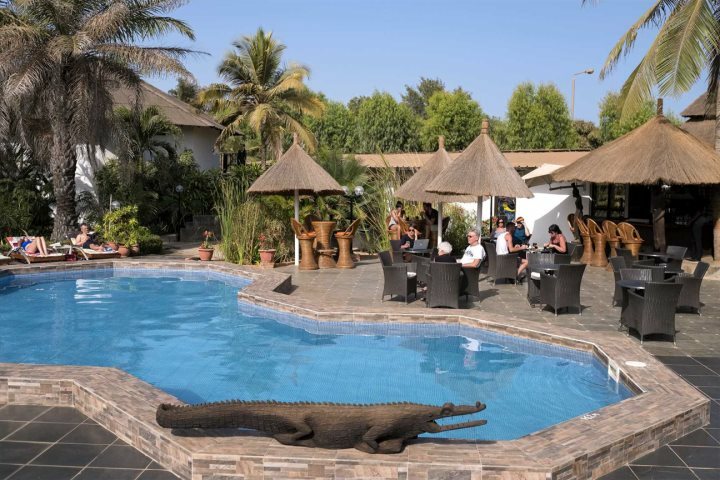 The Gambia's largest hotel, this lively, family-friendly property sits in twenty acres of tropical gardens by a sandy beach in the busy resort of Kololi. It offers a wide range of activities for all ages, including a daily vulture feeding in the hotel’s garden; it’s an amazing sight. There’s plenty of other wildlife to spot here too, including green vervet monkeys and a variety of bird species. To learn more about the different birds you can encounter here, join the resident ornithologist on a tour within the grounds. 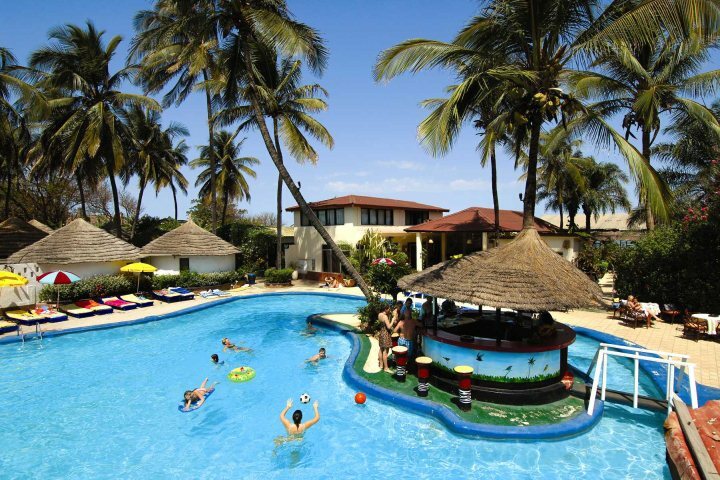 Most of the well-equipped rooms in the Senegambia Hotel are in two story buildings dotted around the grounds. Superior rooms include air-conditioning. Studios with a separate bedroom and lounge are also available. The beachside swimming pool offers lively pool games, while the second smaller pool has a more tranquil atmosphere. And, when you are hungry, as well as the beachside snack bar, there’s an excellent pizzeria to dine in, while the main restaurant, Domordula, holds themed buffet evenings. Being situated in the lively resort of Kololi, there’s also a superb choice of restaurants and bars right on your doorstep. 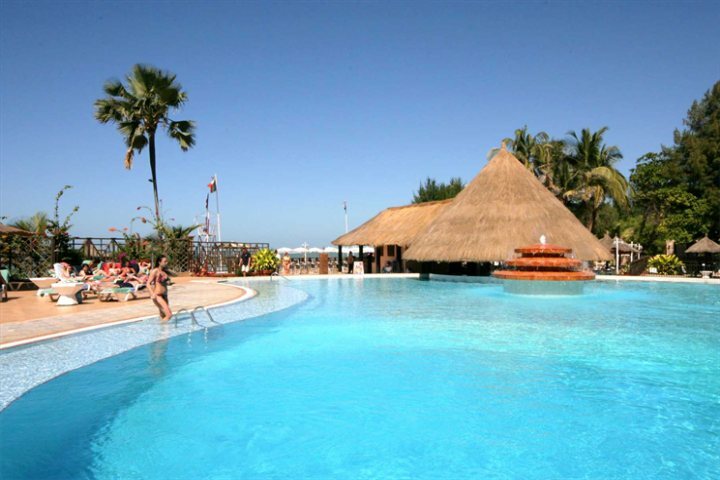 Follow this link to find out more about Senegambia Hotel. Set in tropical gardens with a nature walk alongside Kotu Stream, this small family-run hotel is particularly popular with ornithologists and nature lovers. It’s a firm favourite with BBC presenter Chris Packham, who chooses to stay here during his birdwatching tours of the country. Rooms are simple yet comfortable and are arranged in bungalows amongst mature tropical gardens. There are three on-site restaurants, including Boss Lady, a traditional Gambian restaurant. In addition to this, the beach, restaurants and bars of Kotu are all just a short stroll away. Follow this link to find out more about Bakotu. Offering a more authentic African experience in the heart of the bustling village of Bakau, this small and friendly hotel attracts many repeat customers. You’ll find a relaxed, laid-back atmosphere here. Simply furnished standard rooms are set in charming thatched bungalows reminiscent of a West African village, and are nestled around the free-form swimming pool with central bar. Additionally, there are a limited number of rooms available for single occupancy at a reduced single supplement, as well as some sea view rooms with stunning ocean vistas available as an upgrade. The restaurant is in an elevated position overlooking the ocean, and while there is no natural beach here, a sand-covered, manmade terrace is the ideal place to soak up the sun. 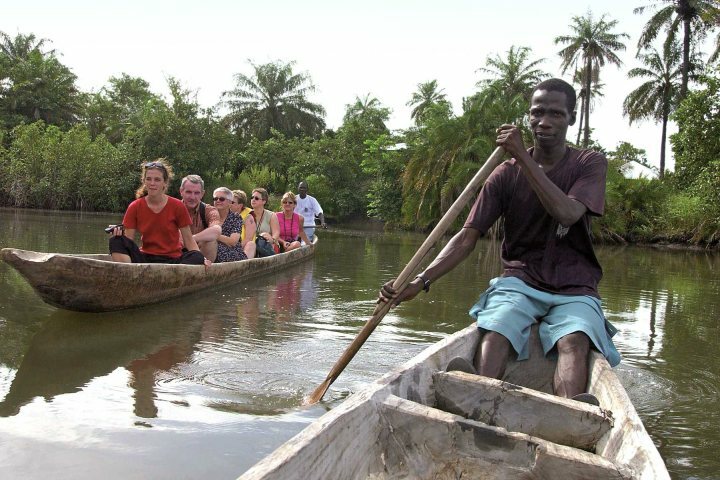 African Village is popular with educational groups due to its village location which offers the opportunity to discover the Gambian way of life. Follow this link to find out more about African Village. Set in a beachfront location amongst tropical palms, Palm Beach is a lively hotel on the edge of the small resort of Kotu. The swimming pool and neighbouring stage are the focal point of the hotel, which has a sociable and informal atmosphere. The simply furnished rooms can be upgraded to include air-conditioning. There is a restaurant on site, but if you fancy a change, the restaurants and bars of Kotu are within walking distance, while the larger resort of Kololi is just a short taxi ride away. Follow this link to find out more about Palm Beach Hotel. For more details of what we can offer and the free places available, visit our Group Travel page on our website or call our groups team on 01489 866 912. *Please note that free places are only available for groups of 8 or more travelling together.